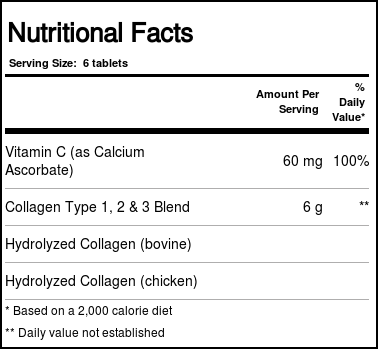 Youtheory Collagen Advanced Formula Types 1, 2 & 3 has three types of collagen along with Vitamin C for extra nutrition. Warnings: Check with your doctor before using this product if you are using medication or have any medical conditions. Do not use if you are pregnant or nursing. Do not exceed the recommended daily intake. Not intended for persons under 18. Keep out of reach of children. Store in a cool and dry place after opening. Notes: Dairy free, soy free, no gluten ingredients. This product is manufactured in a facility that processes whey milk protein and fish extracts. May contain sulfite residues. Recommended Use: (Adults) Take six (6) tablets per day, all at once or in divided doses. 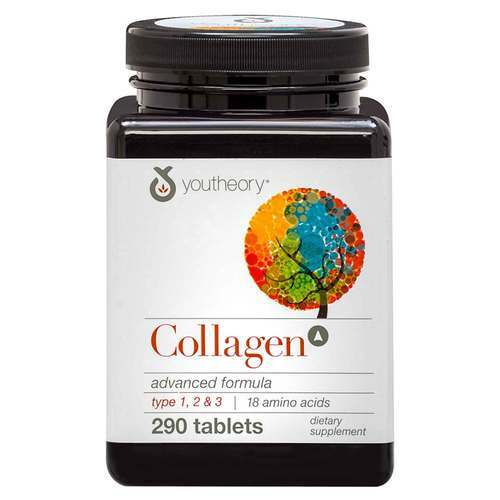 The customer reviews posted below are based on individual consumer experiences and may NOT necessarily represent what expected results will be from using or taking Youtheory Collagen Advanced Formula Types 1-2-3 - 290 Tablets. These results may not be typical and you should not necessarily expect to receive the same results. Actual results may vary. 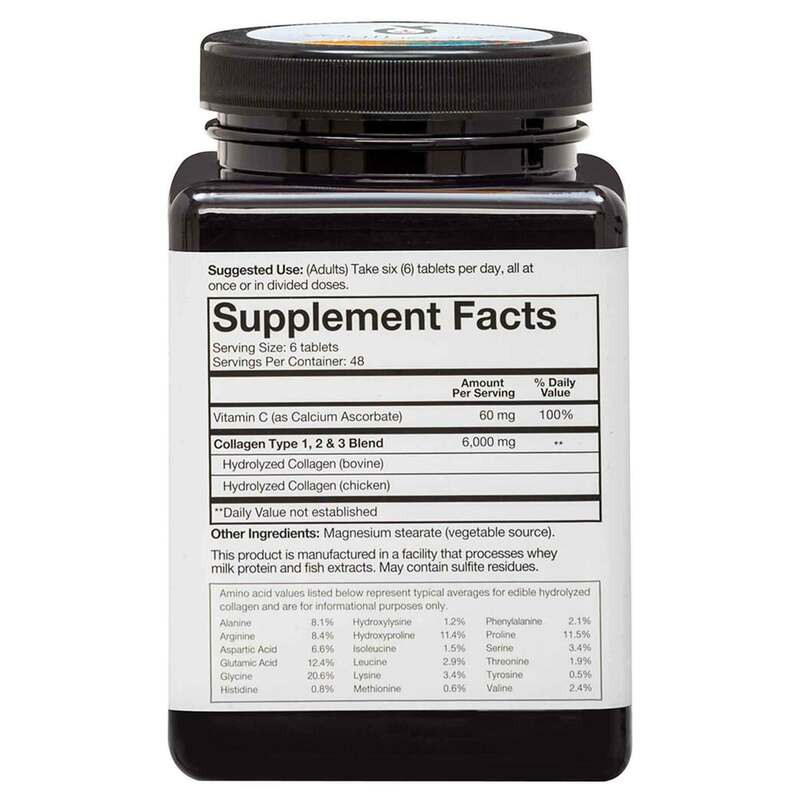 THIS COLLAGEN IS THE BEST THAT EXISTS.It improves hair, nails and skin.It is WONDERFUL. I RECOGNIZE. Excellent product, with a week of use already it was possible to notice difference in the skin! As someone "around 60" I find this to be an excellent product for my skin and nails. I have used various collagen products and find this one most effective and easy to use. It is also a bang for the bucks and most collagen products cost more but do not do more! I really like that I can split the dosage in half taking one dosage in the morning and the other before bed. The product is very very good, I received the product and I confess that the delivery surprised me. I already use the product and it is very good, it was my purchase on the site evitamins, now I will indicate for friends and relatives, I liked the agility of delivery. The product came very well packaged, it is very important to have tracking code, for all this I just have to thank and say that I will buy again and indicate to all friends thank you very much and have a beautiful day. Excellent Collagen, worth buying for both the joints and the skin. It has no taste and does not make it sick to the stomach. There's already a year I'm taking. And in the cost benefit ratio the Collagen of 290 tablets is better. I have been using this product for years, I am not without it, before I finish I am already buying another. Super recommend ! !